What Clients Say About Mike. More reviews are available from around the web. I was involved in a serious motorcycle accident where I was not at fault. I had multiple serious injuries as a result of the accident. I was solicited by over a dozen attorneys and interviewed several. Then I heard about Mike from a friend who had been in a motorcycle accident and after a brief interview, I knew Mike was my attorney. His attitude and approach are completely different than the others and he even charges less! Yep, Mike charges a lower percentage than the others and he only charges on the non medical part of the judgment or settlement. All the others I interviewed charge their percentage on the whole amount including medical costs. Mikes different approach is to sue first and negotiate later. I like this because I felt it let the insurance company know we meant business and weren't going to be bullied into some low settlement. In the end, we got a settlement that was hundreds of thousands more than I believe any other attorney would have gotten for me. Don't hire a loser who doesn't file lawsuits and will sell you down the river! Mike is the MAN! I have recovered from all my physical injuries and next week my wife and I close escrow on our new home. We are paying all cash thanks to Mike! My name is Jana. My husband Steve and I would like to recommend that anyone in an auto accident contact Mike. When we were rear-ended I started looking for an injury lawyer. I called a popular (Name Brand) law office. They did not want to take the case since there was no vehicle damage, they said it wasn't worth it, that it would be too hard of a case to win. One day I was online and I decided to check for lawyers in our area. I kept drifting back to Mike. Mike had the foresight to let us know that maybe Steve's shoulder injury would prevent him from returning to work. Long story short it did. Mike took a risk on us and I'm so glad that he did. Country Insurance only wanted to pay $1500.00 for his injuries. Steve had to have the tendons reattached to his shoulder bone. He went through physical therapy for months just to be able to move his arm. He lost his job because of weight restrictions and repetitive motions. We used all our savings (tax return $$) to survive the months up to court. We lost our chance at a Habitat House since we no longer had steady employment. This accident put us through the proverbial wringer. Tension was the only thing we had in abundance. There were times at court that we really weren't sure what was going to happen. Country treated us like we had done something wrong. They were very condescending and insinuated that we were liars. They brought in their specialist with credentials all over the place, their Dr. who said my husband wasn't injured as bad as he was. Mike was short, sweet, and to the point. We only had the surgeon and my husbands ex-boss. After hours of deliberation the jury was in (we didn't think it looked good) . Mike had done it, he was awesome and WE WON!!! We were awarded $130 thousand plus. Once all the third party stuff was paid, and Mike took his percentage we took about $60 thousand home. All our bills are now paid and Steve is going to school to get a better job. Mike really knows his stuff, We highly recommend him to any and every one. Kudos and all the highest praise from us, we are so grateful to Mike. Give him a call – those insurance companies can really bite. When my son and I were injured in a motorcycle accident I tried to make a claim myself and I was told it was my fault and that they would not pay me anything. I hired Mike Colbach to help us with our claim and he got to work right away. He filed a lawsuit and he spent many hours talking to witnesses and preparing my case. He kept us informed every step of the way, so we always knew what was going on. We won and the other side ended up paying almost five times what I originally was willing to settle the case for. I will be recommending Mike to anyone I know who is in an accident, as he was courteous, professional, and worked hard to make sure I was treated fairly. I found Mr. Colbach to be prompt and honest in his assessment of my case. My case was only worth a few thousand dollars, but he never once made me feel as if that were not enough. He was helpful and was able to quite accurately predict what my case would be worth. 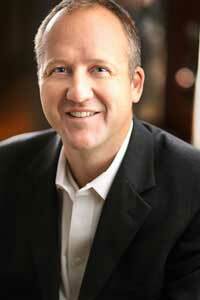 Mike Colbach is one of the outstanding young lawyers of Portland, Oregon. In the months that Mike represented me -- when I was rear-ended while sitting in my car at a stop light -- he was at once efficient, attentive, supportive, communicative, and sympathetic. Mike also effectively negotiated a substantial settlement on my behalf that extended to the outer insurance policy limits. Ultimately, he helped get me back on my feet financially, and, consequently, physically as well. 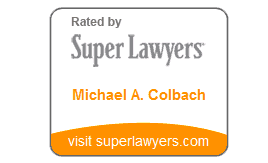 I would highly recommend the top flight legal services of Mike Colbach to anyone who has been injured through no fault of their own. He will protect your rights, and provide you with sound representation that will offer you peace of mind. A friend of mine suggested I talk to Mike when I needed a lawyer and man, am I glad I have that friend! Mike turned out to be not only a great lawyer, but a really great guy. The antithesis of what I thought lawyers were. Mike was prompt in all communication with me, stayed on top of my case, made suggestions when he sensed I needed them and most of all looked after my best interests at all times. I was very, very happy with the results of my case and await the first opportunity I can say to a friend of mine "You need a lawyer? Hey, you need to call my lawyer, Mike Colbach. You'll be very glad you did." Thanks a lot Mike and here's to your continued success! After my auto accident I tried to settle my claim on my own. When a year of frustration went by I finally asked Mike to take over. He asked me what I wanted, we discussed what the claim would be worth realistically and went from there. Mike stood his ground with the insurance company, we went to arbitration and received a very favorable award. I would and have recommended Mike to anyone who needs a true professional that understands this area of the law. Hi my name is Cedrick. I was involved in rear end collision. I went to emergency room and was told by attending doctor that although the pain is severe now it will go away real soon. That was almost 2 years ago and I am still in pain. I was found later to have a protruding disk. I was not sure what exactly it was but I was very afraid. You see I had been out of work now for almost 2 months. The pain had only gotten worse and the doctor was already talking about surgery. My insurance adjuster while very nice was still looking out for her company's best interest. I felt that she was pressuring me to see another doctor whom I was not familiar with. To make a long story short I went online to find out more about disc injuries. I noticed an ad for an attorney that specialized in representing people with similar injuries to mine. I did not think much of it but I decided to read it anyway. Am glad I did! That attorney's name was Mike Colbach. I sent Mike a email and the next day he contacted me. What really impressed me about Mike was that he personally contacted me. After giving Mike the details of my situation he decided to help me. Mike and his very able staff was just what I needed. After Mike started to represent me, everything involving my accident was taken care of by Mike and his capable staff. They took out all the worry and stress of dealing with the insurance company. What I and most people didn't know at the time is that when you are involved in accident no matter who's fault, your insurance has to pay for immediate medical bills, and also if you can't work they pay a small amount of money for lost wages, per your policy, it's called PIP. Mike and his staff contacted adjuster every month to make sure that I got my PIP payment on time. They made sure that the doctors were paid. In fact I can say now without embarrassment that Mike saved my life. If anyone has ever had severe neck and back injury you can identify with what I was going through. The constant pain the lack of sleep and above all the feeling of hopelessness and despair when you can't support your family. A lot of times when I wanted to give up Mike reminded me that I was not alone. After talking to 6 different doctors, I decided with my family's support to have the recommended surgery. Because I didn't have health insurance and my car insurance policy had been maxed out I had no idea how pay for surgery. Again Mike came to my rescue. He contacted my doctor and made arrangement with him to do surgery now and we would pay him later. Mike and his staff contacted a number of local hospitals to find one that would help us. Everything, and I mean everything that had to be done Mike took care of for me. Although I can only guess how much time Mike put into my situation I know it was a lot. He never bothered me about money he just did what had to be done. Mike sued the other guy's insurance company in order to recoup the money for doctors, hospitals, lost wages and for pain and suffering. The insurance company agreed to pay the full amount of the other driver's policy. The amount barely covered my medical bills. The agreement that me and Mike had from the beginning was that he would receive 1/3 of any settlement. Instead of Mike taking his well earned and deserved 1/3 off the top of settlement he made sure that after all of the debts were paid there would something left for me. Again Mike went above and beyond what one would expect. He took a 80% reduction from his fees in order to make sure that me the client was made whole. What more can one say in this day and age of greed, selfishness and me first attitude about a professional man, A lawyer, a very very good lawyer that spent over a year and countless hours helping to make sure that I got the best legal advice possible yet still seeing me as person, not just client. I would and I have recommended Mike to anybody in need of legal help. If you want the best legal advice, a lawyer that goes the extra mile to help his client and to look after the client's interest and above all an honest man that will treat you as human being with dignity and respect, then please contact Mike. I promise you won't be sorry.